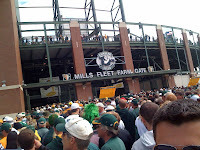 In just one month, the Green Bay Packers 2011 preseason will begin. Lambeau Field will be filled to the brim with over 70,000 enthusiastic fans clad in Packer green and gold, chanting "Go Pack Go!" to the beloved reigning Super Bowl champions. The sun will be shining (as it always is at Lambeau Field), spectators' plastic cups will be overflowing with cold beers, and Aaron Rodgers will be making clutch plays. 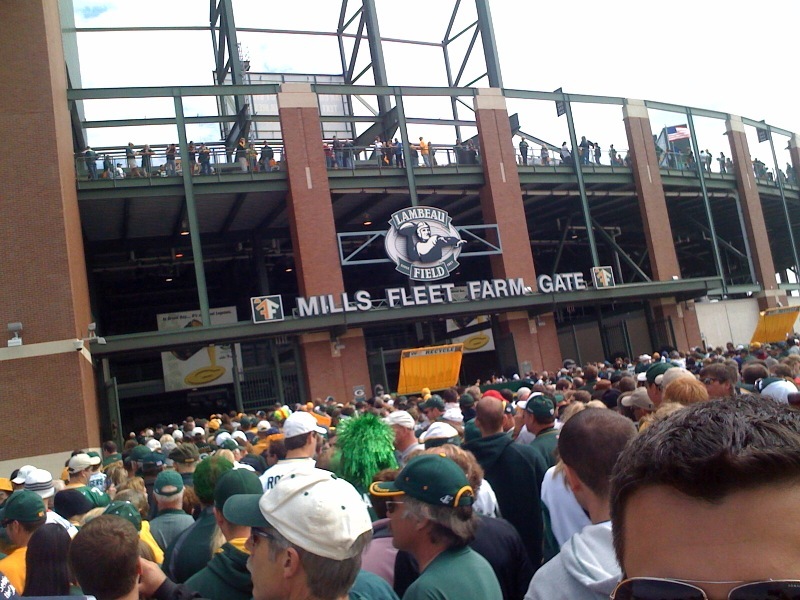 Don't miss out on all the Packers excitement this season; get your Green Bay Packers tickets already! Now, I know what you're thinking. Well, what about the lockout?! Don't worry, we have you covered. Should the Packers season be shortened or (gulp) canceled, you will be issued a full refund check within two weeks of the date of the scheduled game. So if you purchase tickets for the home opener on September 8th and that game is not played, we will send you a refund check by September 22nd. No worries! You have no reason not to get your Packers tickets. While I can't guarantee a Packers win, I can certainly guarantee that any experience at Lambeau Field will be a memorable one. Go Pack Go!